A blog written by an American expat who has moved permanently to Germany - about life in Germany, the differences between the U.S. Midwest and southern Germany, the German language, international travel, and whatever else is on my mind. For more than a year now I have been seriously interested in pursuing falconry and becoming a Falknerin. 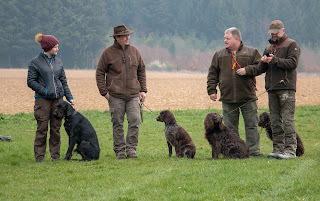 In order to meet this goal in Germany I need to first earn my hunter's license. I went back and forth for months wondering whether I really had a chance at accomplishing this, and by now I have taken the leap and begun my pursuit. 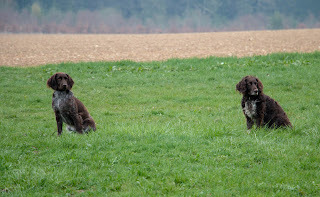 about hunting in Germany, some of which I include below. As is my style, I wanted to find out everything I could before signing up for a class. I want to go into this with my eyes wide open. I didn't necessarily anticipate that my eyes would pop open with shock and awe, but oh well. At least I know what I'm getting into. To help me mentally prepare for what is upon my doorstep (my hunting class begins in June), I wanted to write this post - perhaps also for posterity. 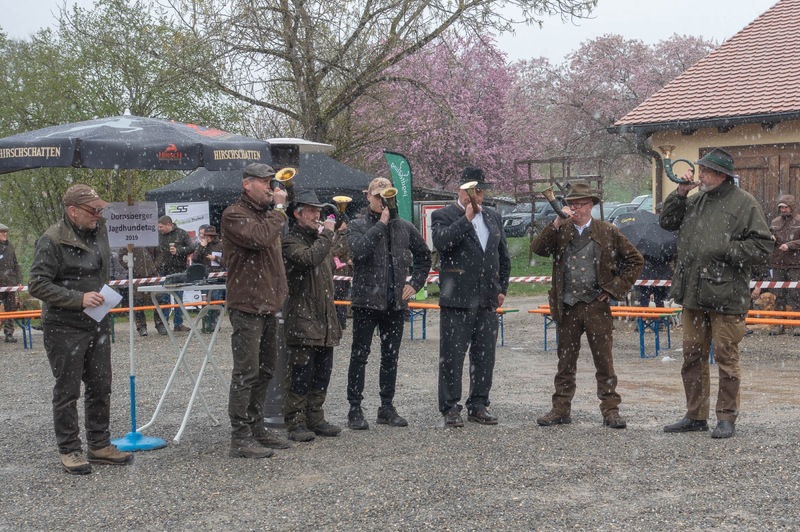 I suspect anyone from the homeland who knows about hunting and hunting license requirements there will be rather surprised at the way things are done in Germany. There are many private hunting schools in Baden-Württemberg. I needed to shop around to find the type of class that fit best to my learning style and schedule, and with the help of a family friend - the former Landesjägermeister of Baden-Württemberg - I've settled on the Landesjagdschule Dornsberg, (LJS) not far from the Bodensee. Except for evening classes, the courses are generally made up of 18 or so eight-hour days. Those days include classroom work, practical and hands-on instruction (identifying flora & fauna, gun handling & safety, and field dressing [gutting] prey, for instance) and shooting. The LJS allows students to combine sessions from the various types of courses when flexibility is required. The "summer holidays" in Germany are only six weeks long, so this class is quick and intense. The one at the LJS runs for three weeks including one two-day break and an intensive three-day review session before the test. This course is run one weekend a month, Friday through Sunday, followed by a final eight-day block, and stretches over five to six months. This course extends from June through August, one week per month. This is the one I've chosen because I know I need time in between blocks to review and prepare for the next one. This also includes the intensive three-day review session before the test. The test is scheduled for the time we'll be in Scotland, so I will be taking it in November. We'll find out if that's an advantage (more time to study) or a disadvantage (more time to forget stuff). There are five different areas of study for the theoretical portion of the class, which takes about 100 hours of instruction. This is where I will be wishing I had paid better attention in the few science classes I couldn't avoid taking while still in high school. Seriously, I believe I took one year of basic biology. In college I took geology because it was the lowest/easiest science class one could take to meet the graduation requirement. My 50-year-old self would like to travel back in time and whack my 16-year-old self with a 2-by-4. Why do I have to learn about the care and training of dogs? 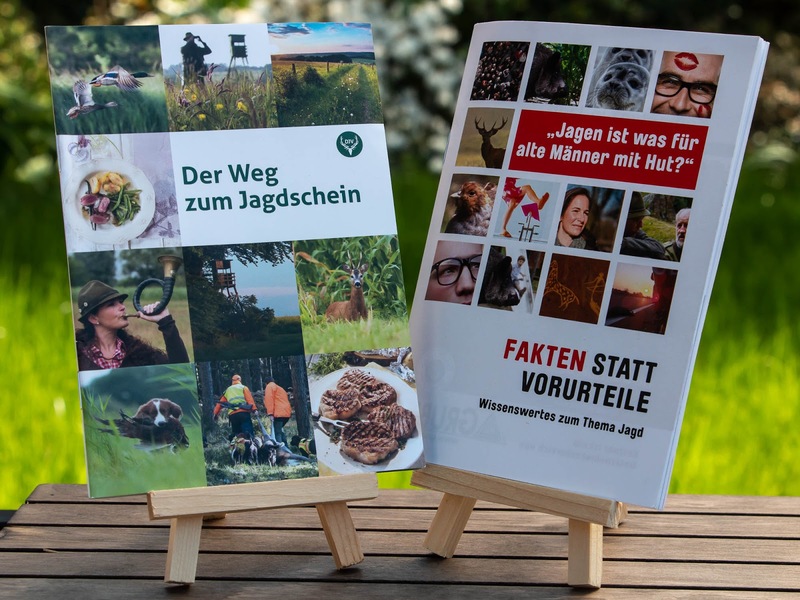 Because in Germany "Jagd ohne Hund ist Schund" ["Hunting without a dog is rubbish"]. I have read again and again that there is no type of hunting for which a suitable and well-trained dog is not necessary. In other words, one should never hunt without a dog. The dog can assist the hunter in flushing out game, but perhaps the more important part is finding and retrieving or leading the hunter to the dead or wounded animal. For the shooting part of my education, I will need to learn how to handle and shoot with the Langwaffen [rifle and shotgun] and Kurzwaffe [pistol]. At this point I can't even tell a rifle apart from a shotgun, so the gun business might be my biggest challenge. The state hunting test stretches over two or three days. The entire test is conducted in German; there are no accommodations for non-native speakers like me. This is a multiple-choice test with 25 questions on each of the five topics I listed above. In B-W, there are anywhere from three to six possible answers to choose from, and any number from 1 to 5 could be correct. You are not told how many answers are correct, but grammar can help here with the phrasing of the question. (“Which of the following animals IS…” vs. “Which of the following animals ARE…”) I have 150 minutes to answer the 125 questions. is available on the internet. 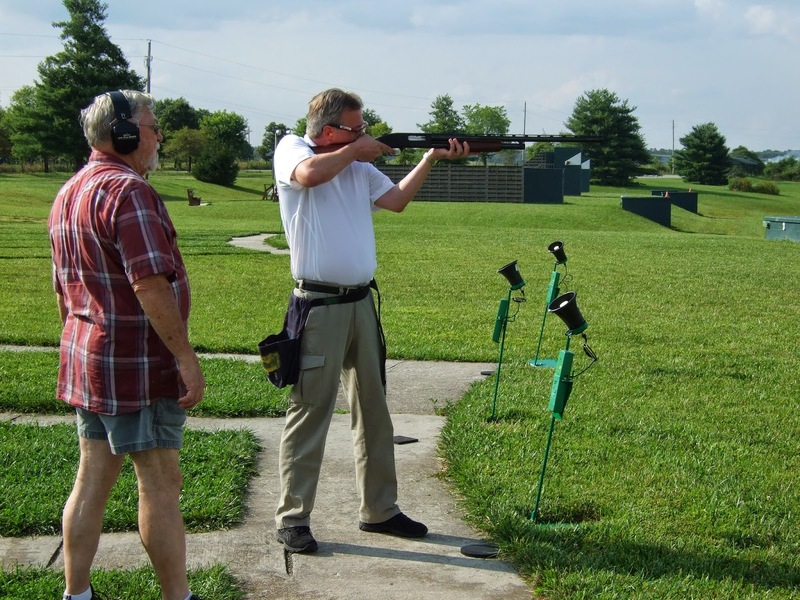 For this part I need to demonstrate skill and accuracy at shooting with rifle and shotgun as well as handling the weapons safely. 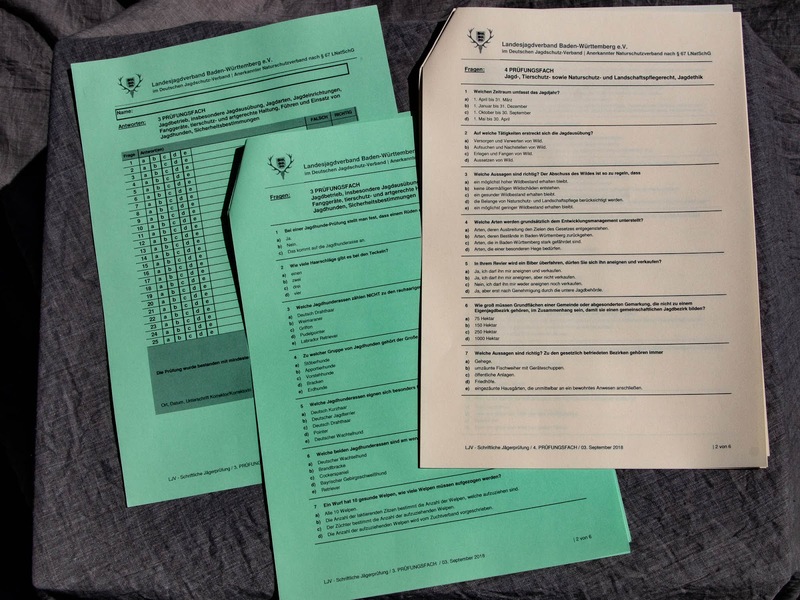 If I fail at this, I fail the test; I cannot compensate for lack of competence with guns with really good performance on the written portion of the test. I need to be able to shoot a stationary deer target from 100 meters (328 ft) and a moving wild boar target from 50-60 meters (164-197 ft). None of the targets are real/live! I must shoot clay pigeon and rabbit targets from 35 meters (115 ft). This is for short-range, as in ending a wounded animal. It sounds like I won't be tested on this in B-W, but other states might require it. Clay pigeons were the target, though. I will be tested on all five topics here as well, this time in front of a panel of judges. This could involve a walk through the hunting ground with a hunting simulation in which I have to tell how it should be properly handled. I will be required to identify hunting dog breeds, game animals, internal organs of game, plants, and trees from photos, models, or in the field. I am as yet unsure if I will need to actually "field dress" an animal during this portion of the test. Can you identify this breed? If I pass that test, I will then be able to apply for my Waffenschein [gun license] and my Jagdschein [hunting license]. 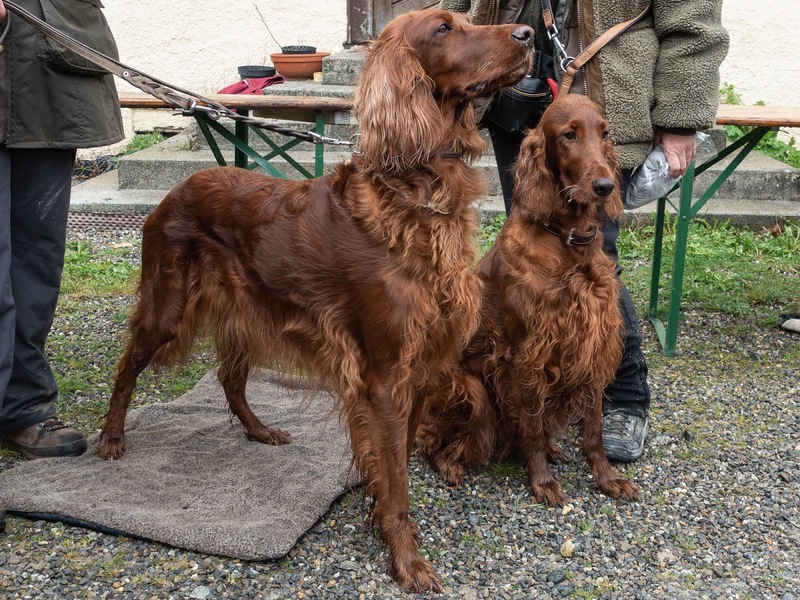 If I do not feel confident with the guns and shooting, I can skip that part of the test, and passing the other two sections, I could then get an eingeschränkter Jagdschein [limited hunting license]. That would be enough for me to then pursue my Falknerschein [falconer's license]. Register the gun with the proper authorities. Pay $165 for a Conservation Patron hunting license (allowing me to hunt all types of large and small game available in Wisconsin). *This used to involve a 48-hour waiting period, but ex-governor Scott Walker repealed that in 2015. There is now no waiting period in Wisconsin, though the required background check does take 3 to 5 minutes. Since I was born before January 1, 1973, I would not need to take any kind of class: Not a hunter's safety course, and not a course on how to handle a gun. I could buy any type of legal gun at a sporting goods store. If I decided a class would actually be a good idea so I have some clue how to aim and shoot, which animals I am allowed to shoot, etc., I could find a Hunter Education Course in most communities or take an online class. The one I linked to costs $24.50. A hunter over the age of 18 pays an additional $10, though I don't know why. I found an in-person weekend class in southern Wisconsin which runs Saturday and Sunday for eight hours each and costs $10 total for the two days. 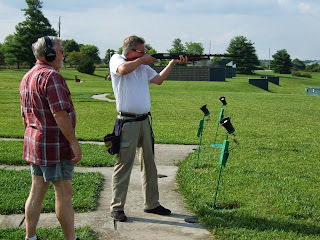 Many such classes are taught by volunteers - experienced hunters who are enthusiastic about teaching. 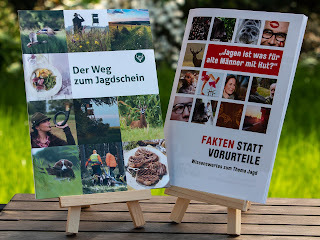 The German Jägerprüfung, or hunting test, is often called "das grüne Abitur." (The regular Abitur is the graduation test students in Germany must pass at the end of high school in order to qualify to study at a university.) This is serious business, and it requires weeks and months, if not years, of study and preparation. I hope I am up to the challenge. 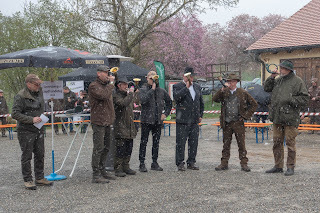 All things to do with hunting in Germany begin and end with horn blowing. 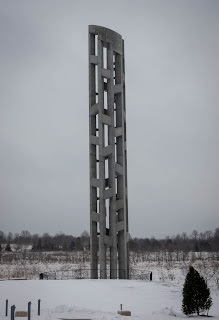 I promised in a post from last month that I would come back and write more about Knigge, focusing on travel. 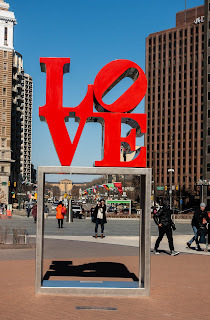 As it turns out, my flights to and from Newark, NJ (USA) to visit my kids in Pennsylvania weren't as bad as expected. However, looking through Silke Schneider-Flaig's book about German Knigge and reflecting on my own experiences did give me a few ideas. So here we are for Part 2. Some of these are from the Knigge book, and some are my own pleas tips. Arrive early enough to cut down on your own stress. Know that at every major airport in the world, traffic to the terminals is thick and chaotic, so plan more time than you think you need. Do not blame other passengers or airline personnel for your misfortunes or bad planning. You will have much better luck getting assistance if you are calm and reasonable. Have your passport or i.d. at hand (take it out while you are waiting in line) rather than approaching the counter and then starting to dig for it. While waiting in line to approach the nudie scanners at security, remove everything you can (watch, belt, bracelets) and put it all in a jacket pocket or pocket of your carry-on. Have your tablet or laptop ready to be placed separately in a bin, as well as your "freedom bag" (the 1-quart Ziplock bag containing your dangerous liquids and gels). Watch the travelers in front of you. If they are required to remove their shoes and place them in a bin, be ready to remove yours. Before they call for boarding, put the items you will need during the flight (for me those are my noise-canceling headphones and MP3 player, a book, a notebook, a pen, reading glasses, hand lotion and lip balm because it's dry as buggers up there) into a smaller bag you have packed in your carry-on for this purpose. Everyone boarding the plane will be taking off together at the same time. So pushing, shoving, and trying to sneak in before your section is called is foolishness. Get to your seat, stow your carry-on in the overhead bin or under the seat in front of you, and sit down. Get out of people's way and do not block the aisle. This is easy as pie if you have done what I mentioned in the section above, because you have the most important items in your little bag - which you will need to put under the seat in front of you for take-off! You can live without everything else until the plane reaches cruising altitude. Silke Schneider-Flaig recommends to help older folks and parents traveling alone, but I would change that to offer your help. Don't just step in and grab their stuff to toss in an overhead bin. ASK if they would like your help. Do not put your seat back unless you are actually trying to sleep. When you fail at sleeping, put your seat back upright again. Honestly, folks, that extra inch of recline will not help you and will be a torture to the person behind you. Put your seat back upright during meals! If the person in front of you doesn't do so, ask him or her politely rather than seething in silence. If you expect assistance and cooperation in the event of an emergency, pay attention to the safety video or flight attendants going through procedures, or at least shut up long enough for the rest of us to listen. It's a matter of respect in my view, and it doesn't matter that I've heard this spiel 86 times already. For the love of all that is holy, wear socks! Do not display your bare feet to others, and do not rest your foot on the arm rest of the poor soul in front of you. Take cues from the person next to you as to whether s/he wants to chat or not. Just because you're excited to start your vacation doesn't mean the business traveler next to you wants to chit-chat. On most international flights these days the planes are equipped with touchscreen displays on the back of the seat in front of each traveler. Thanks, airplane designers; that was a great idea. They never work as well as our mobile phone and tablet touchscreens, and this leads to people banging their fingers on the displays. To see what this feels like, strap a book to your upper back or neck and have someone bang on it repeatedly with her finger. DO NOT BANG ON THE TOUCHSCREEN! It's a touchscreen, not a bangscreen. Honestly, everything regarding Knigge for travelers boils down to keeping calm and not causing problems for those around you. For this you need a healthy dose of self-awareness as well as acknowledgement of people around you. One final tidbit of advice: WASH YOUR HANDS whenever you have the chance. On my flight home last month I saw the 10-year-old kid across the aisle from me sneeze a goober into his hand, and since he was too proud to ask his mom for a tissue, he wiped in on his seatbelt that was dangling into the aisle. As fate would have it, his dad wanted to switch seats with him for landing. They did, and the goober ended up on Dad's hand. At least it stayed in the family. 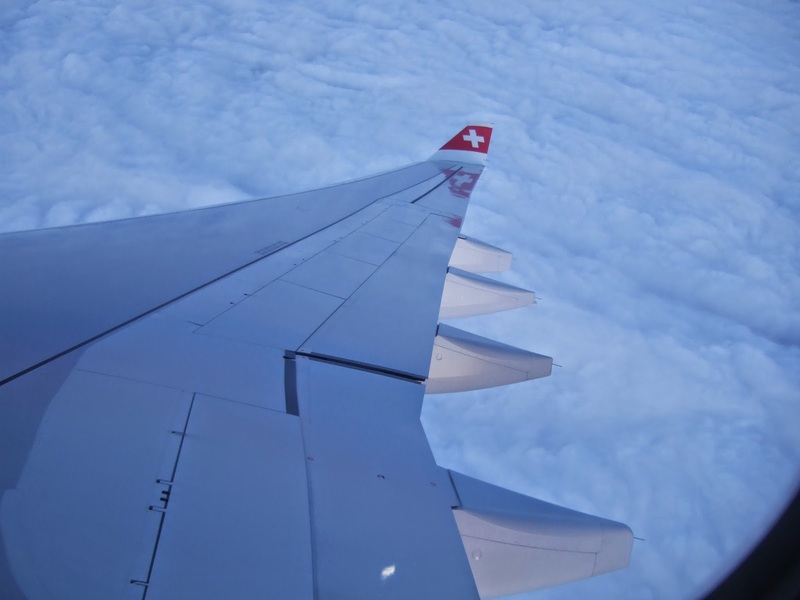 What etiquette tips do you have for international flights?? I am so damn sick of superficiality. Smartphones and Facebook & Co. have turned us into people who don’t have time for real communication with each other because we’re too busy playing games and scrolling through our feeds to see if we missed some meaningless thing that we can “like” or “LOL” about. And talking with each other about something deep and meaningful? Well, forget that. Small talk. That’s safe and noncommittal. We don’t have to think if we stick to small talk. “Hihowareyou?” Even German teens I spoke to recently knew before I “warned” them that this isn’t actually a question and that there’s only one correct answer to it in the U.S.: “Fine, thanks, how are you?” Don’t bother with anything else. In November 2014 a former German student of mine in Wisconsin – a really nice and funny kid in my class and on my first trip with students to Germany in 2000, whom I remember well – brutally attacked, tortured, and repeatedly stabbed a couple in Virginia and is now serving two life sentences + 98 years. When the cops found him he was wearing only an adult diaper and muttering in German. German he learned from me, presumably. Last November a friend of mine here in our area allegedly murdered a close friend of his – a wealthy German man who was very involved with helping local refugees. M.O. is/was as friendly as an American – had a huge smile whenever he saw me or anyone else, and had asked me to tutor him in English because he wanted to go to the US someday. We never got around to that and weren’t closer friends only due to lack of more effort on my part. I wrote a blog post about him after he’d submitted a letter to the local newspaper about how grateful the Syrians were for Germany’s welcome and help. I introduced my dad to him. We took photos. I heard about the crime when it was reported and a few days later learned from a mutual friend who the alleged killer was. I did not believe it. I know him. I also did not believe it a few weeks later as more details emerged. It just didn’t compute. It still doesn’t. He has been sitting in U-Haft since November, accused of the crime. After months of investigation he and an accomplice were officially charged recently and there will be a trial. I still remember and think of him as he was when I last saw him – same with my former student. What’s my point? I don’t know. Things happen. People snap and do horrible things. How do you know your good friend (or, as in the case of my former student, the spouse of an employee you fired) isn’t going to turn on you? How do you know anyone? You don't. I can count on one hand minus a few fingers the number of people who really know me and want to. That's ok. Maybe it's best that way. What are you struggling with? What are you passionate about? What makes you tick? How can we make our relationship/friendship better? What do you need from me? What can I learn from you? Let’s talk about politics, gun laws, climate change, and religion. Let’s challenge each other! Let’s talk about why I annoy you. Ha, never mind that last one. It’s probably because I can't stand small talk and superficiality. By the way, it's probably best if you don't ask me how I am for a while. I am not "fine". I have a question connected to U.S. immigration, visas, etc. I’m asking this publicly because I’m really hoping for some answers. What is America so afraid of? I mean the government (and I don’t mean just the current administration) and many of the people (“I need a gun for protection” & “immigrants are going to steal our jobs”). Immigration officers are required to assume applicants are trying to sneak in and stay illegally to screw the U.S., and the legal immigration process can take years. Visitors to the US are treated as criminals at immigration, finger-printed, interrogated (even shouted at), and I can only imagine what it’s like for a person/family who isn’t white or wears a head scarf to go through that process. Is it just the fear of terrorism, or is there something more? 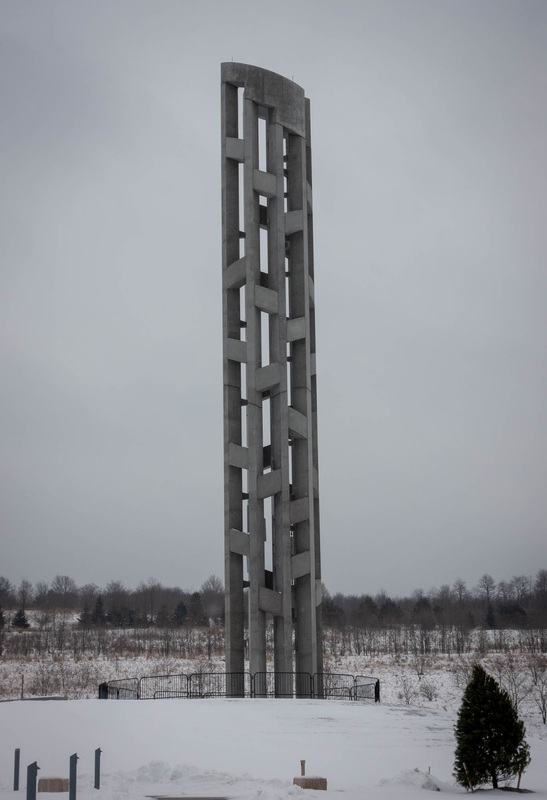 I was in WI on 9/11, and I was at the Shanksville Memorial a week ago. The horror of that day and the following weeks was hard to live through and it’s still hard to fathom now. Terrorism – foreign and domestic – happens all over the world, and it’s awful every time. But when I have flown as a foreigner to Scotland (Lockerbie), England (Westminster 2017), Germany (Berlin 2016), and Vienna (1985) I have not met with this suspicion and fear. There are armed military guards all around in all airports I’ve seen; they’re watching over us and we’re used to that. M and I had to go through a maze of regulations and piles of paperwork in order to get married in Scotland, having to prove that we would not stay and be a burden on their social system. But upon arrival we were welcomed, not greeted with paranoia, suspicion and fear. A friend of mine was recently denied a visa to spend 3 months on a study abroad program in the U.S. – because he is from Syria. Had he been from Saudi Arabia, like the 9/11 terrorist pilots, he might have been granted a visa for his study program. Saudi Arabia isn’t on the travel ban (EO 13769). The sweet Schwiegertochter (daughter-in-law) of a friend of mine is facing trouble with immigration because of this general fear and suspicion. She just wants to stay, work, and live in the U.S., and contribute to her household, pay taxes, and be able to visit her family overseas. But she’s stuck in limbo while immigration officials try to figure out how evil she really is, what she’s lying about, and how she is trying to screw the U.S.. I know they can’t just look at a person and say, “Well, she looks nice & friendly, I’m sure this one is ok.” There is paperwork, there are interviews, there are documents to produce. Of course each country needs a vetting process. I had to do all of that, too, when I immigrated to Germany. But not once was I met with a sense of suspicion or fear. I went to the necessary offices, found out what I needed to produce, brought in the mounds of paperwork, had my photo and fingerprints taken, and received my residency permit a few weeks later. Three years after that I went to the local foreigner’s office again, applied for and received my permanent residency permit. Again, no suspicion, no paranoia, no fear. Just a speck of time and some more paperwork. Tourists entering Europe do not get finger-printed and photographed. When I enter the U.S., even I as a citizen get my mug shot taken in connection to my customs form, though I’m spared the finger-printing. When I entered the U.S. (as a U.S. citizen!!) 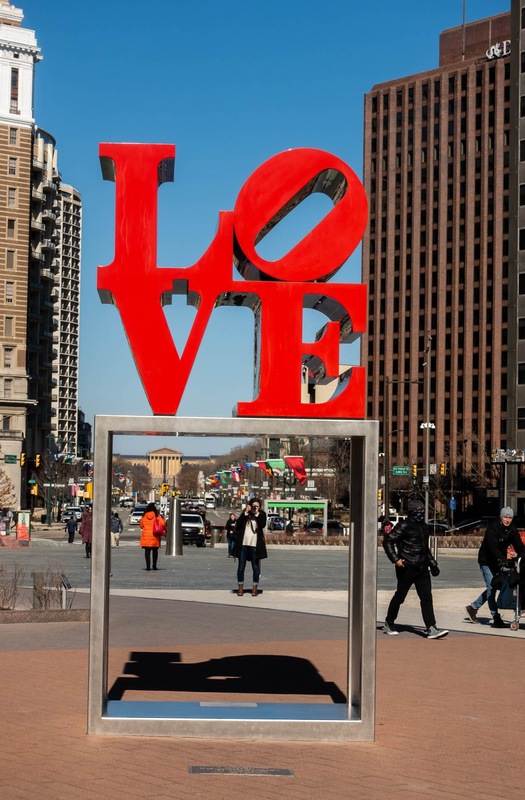 two weeks ago, I was questioned about why I was gone ("I live in Germany"), why I live in Germany ("because I love it there"), how long I will be staying ("1 week"), where I will be staying ("Pennsylvania") and why I was visiting ("to see my kids"). When I return to Germany, they ask me nothing. When I was living in the U.S. and visiting Germany, they also rarely asked me any questions. America, I'm just not feelin' the love. So that's my question: What is America so terribly afraid of, that visitors and immigrants are treated with such suspicion when they approach the U.S. whether for tourist travel, business trips, visiting family, or with the intent to immigrate, when other countries (though surely not all) manage to welcome people? P.S. Apparently Blogger often has issues with comments. Feel free to email me instead (click on the postcard image in the upper left on a laptop screen; don't know how it works if you're using a tablet or smartphone) and let me know whether I can publish your response! 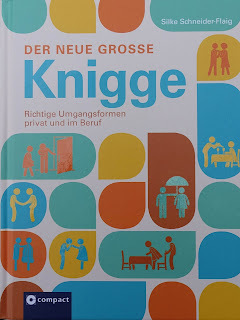 In German, Knigge represents proper social behavior one should practice in pleasant company. The term comes from the man who first published in Germany a manual for etiquette in 1788: Adolf Freiherr von Knigge. His work was called Über den Umgang mit Menschen (On Interaction with People). I found this topic interesting enough to buy this book a few months ago, being mainly curious how German Knigge would compare to the way I was brought up. In this weekend's newspaper were two articles about Knigge, including an interview with Clemens Graf von Hoyos, chairperson of the 300-member Deutsche-Knigge-Gesellschaft (German-Etiquette-Society). 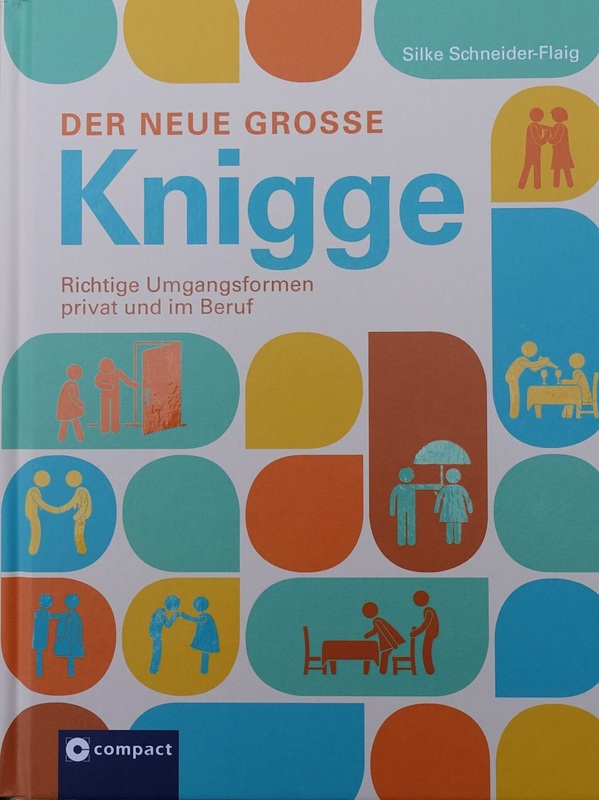 Thanks to their society German Knigge also provides guidelines for things Freiherr Knigge could not have imagined in 1788 such as online and Smartphone Knigge, escalator use, and travel/airplane etiquette. Ok, despite Elke Stadler, Knigge-Trainerin, ending her article by saying that we common folk should not go about instructing others (especially publicly) on which rules they are breaking and how they should behave, I thought I'd share with my fair readers what I've learned! Keep in mind that etiquette rules are different from country to country, and at home we may all do as we damn well please. But to avoid the problems Julia Roberts faced in "Pretty Woman" when out in higher society than we're used to, Knigge tips and guidelines can be helpful. Wait, what?!? 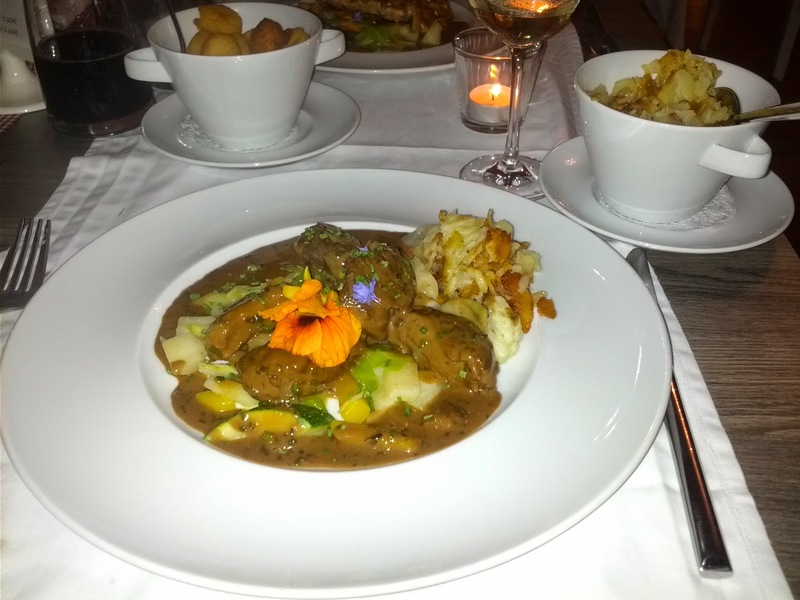 It is ingrained in every German's psyche not to dig into a plate of food without waiting for someone - parents, waitress, table companion - to say "Guten Appetit"! They and I will go on wishing a "Guten Appetit" no matter what Frau Stadler says. The reasoning behind why this is sketchy is what caught my attention. In earlier times it was a serious faux pas to say this to nobles because it called the quality of the food and kitchen staff into question! There was no need to wish wealthy people a "good appetite" because that came from the delicious and aromatic victuals all by itself. Commoners, however, were forced to eat whatever they could find or buy with their meager funds, and their food was often near-to rotting scraps and leftovers. The phrase "Guten Appetit" amounted to: "I hope your appetite is strong enough to force that food down." 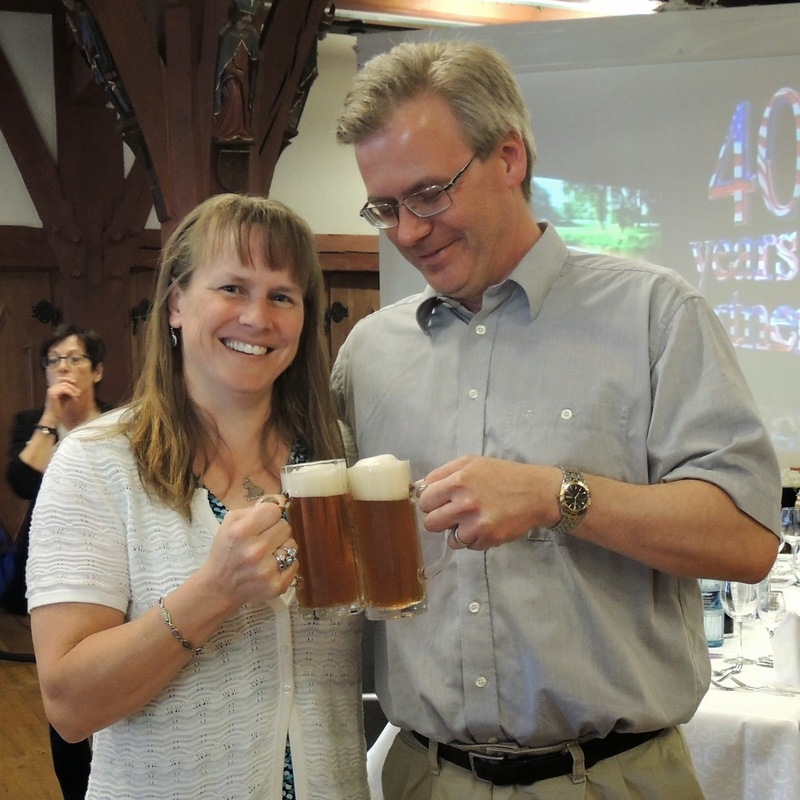 Now, even in that context "Guten Appetit" fits well as a Swabian compliment, so in our house we will continue to use it. This is a common phrase coworkers or bosses say as they leave the office or meeting for their lunch break. There is no equivalent in English, although it translates to "meal time." The closest in English would be "Time to eat!" So what's wrong with this one? This time the explanation is very modern, although the origin of the phrase comes from monasteries and convents. Monks and nuns usually kept a very tight routine and were directed about by church bells and chimes because of course they didn't have watches or Smartphones to tell them what time it was. "Mahlzeit" was a reminder that it was now time to eat pray and then eat. Obviously nowadays as we are surrounded by clocks, computers, Smartwatches, mobile phones, etc., we do not need to go about telling other people what time it is or announcing our intentions to go check out what's in the Kantine. Many people these days are trying to pay better attention to their health, fitness, and eating habits. Quite a few of your coworkers may choose to use their lunch noon break to go for a walk, meditate, work out, or take a power-nap, and therefore reminding them of a meal is rather out of place for the same reason you wouldn't tell someone "Enjoy the donuts I brought!" when you know he is on a diet or fasting for any reason. We should probably stop posting food pictures, too. Our Knigge-Trainerin recommends saying "Guten Mittag" or "Angenehme Mittagspause" instead, wishing your colleague a "good noon" or "pleasant noon break". This is clinking glasses with each other before taking your first sip of wine, beer, etc. We're back to the Middle Ages for this one. we're supposed to look at each other, not the camera. And M was trying not to spill and waste the beer. When enemy knights found themselves face-to-face unexpectedly, there were often subtle exchanges that amounted to threats - an indication one wanted to fight or even kill the other. When they banged their mugs together, the intent was that some of the brew would slosh over into the adversary's mug. When both drank - holding eye contact, of course! - it was an assurance that neither beverage was poisoned. These days our glasses are more delicate than back then, and there is a good chance a too-enthusiastic bump will cause damage. Since we generally no longer need to prove to others that we haven't poisoned their drinks, it is better nowadays for the group to lift their glasses, make direct eye contact with everyone round the table, and say a collective "Zum Wohl!" The Knigge-Trainerin says allergy-sufferers will sing this one from rooftops! The idea is to not publicly point out someone else's weakness. By saying "Gesundheit!" every time someone sneezes, we are bringing unnecessary attention to an uncontrollable reflex, which the poor chap is all too aware of. During allergy season or when someone is sick (in which case she should rather keep her germs at home), it is a nuisance to have someone respond every time the sufferer sneezes! Just for fun, I'm going to list a few no-noes at the table from the Knigge book pictured above which I had not ever really thought about but now know go against German Knigge, at least when adults do them. I would venture to guess many/most of my Landsleute don't give a thought to any of the following either, except those in high society. take a drink before the host/ess has given a toast. cut spaghetti noodles with a knife. cut meat (such as meat loaf) with a fork. salt or pepper the food before tasting it. park your cutlery resting on your plate with the handle on the table. hold your wine glass above the stem. blow on the food to cool it. I'm jetting off to visit my kids this week (with apologies to Greta and Co.), and when I return I'll surely have Part 2 of this post ready - concerning travel Knigge. Assuming I don't end up in the slammer for drubbing the twits sitting near me, of course. 30 Before 30 | 3 Years to Go!